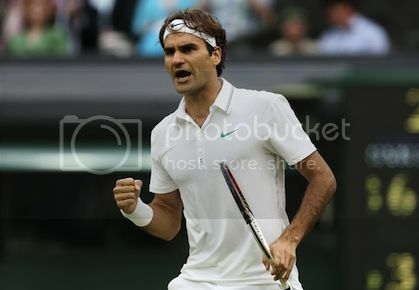 Roger Federer won a record-tying seventh Wimbledon Championship, beating Andy Murray 4-6, 7-5, 6-3, 6-4. Playing what he later said was “some of his best tennis” after a rain delay, Mr. Federer won his his 17th Grand Slam title overall and matched his hero, Pete Sampras’ record, at the Wimbledon All England Club in the process. The Swiss Tennis Pro is now 17 and 1 in Grand Slam Finals and ranked number one in the World. Be the first to comment on "Roger Federer Over Andy Murray To Win Wimbledon Men’s Final"